In New York, New York, those facing charges that require criminal defense representation find trusted advocates at the law office of Sapone & Petrillo, LLP. Our unyielding commitment to representing the rights of citizens is vital to securing a successful future for those who have been charged with a crime. Attorneys with extensive experience handle matters of federal criminal charges, drug, DWI and white collar crimes. We provide a strong defense to those in New York, Manhattan, Brooklyn, the Bronx, Queens and Long Island. Vehicular homicide, violent crimes, forfeiture and civil litigation are all legal issues that we have experience in and are confident we can achieve positive results for our clients. An intricate understanding of the law and aggressive representation are both important to keeping clear criminal records for the clients of our law office. Consistent acquittals have earned us an Avvo “Superb” rating and being named to the Top 100 National Trial Lawyers. 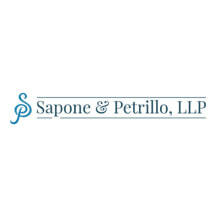 At Sapone & Petrillo, LLP, we are strong defenders of justice and protectors of the best interests of our clients. We are constantly looking for ways to better aid criminal defendants and improve the criminal justice system, and we are proud to lead the criminal defense bar. Integrity, professionalism and intelligent advocacy are central focus points at our law office. Clients may schedule a free initial consultation to discuss their case immediately after they are arrested, and our office accepts credit card payments for our services. Our skilled, dedicated, experienced staff and attorneys have a mission to protect the rights of every citizen.